VANCOUVER — At least it was dry. More than 250 people braved the cold early Thursday morning to be among the first to shop at Vancouver’s newest Goodwill Retail location. 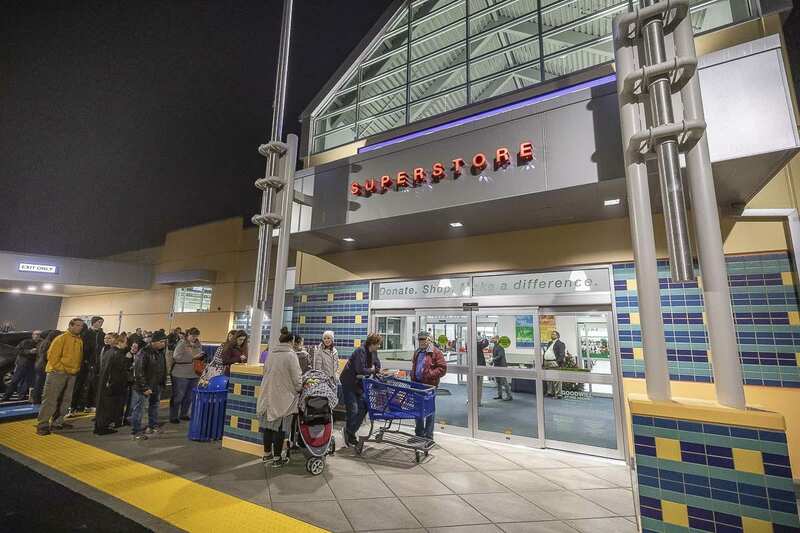 The new 10,500 square foot store on Fourth Plain at 143rd Avenue, near the Wal-Mart, was well stocked and gleaming as a line of people wrapped around the building before 7 a.m. waiting to get inside. Gesler said he shops at Goodwill stores nearly every day. He usually looks for watches, or other small collectibles. He does sell some stuff, but said this is more of a hobby than anything else. Gesler was also first in line when the Goodwill Outlet Store on NE 117th Avenue. Parking lot attendants helped shuttle cars into the store’s parking lot, eventually directing people to overflow parking near Wal-Mart. Shopping carts lined up outside the store were quickly claimed, and gallons of caffeinated coffee set outside for waiting customers were consumed. Jane Mobley was second in line, and said she’s also been a long time Goodwill customer, frequenting their stores for over 20 years. “I’m into all the, like, computer routers and DVD players. I’m an electronic geek freak,” says Mobley. 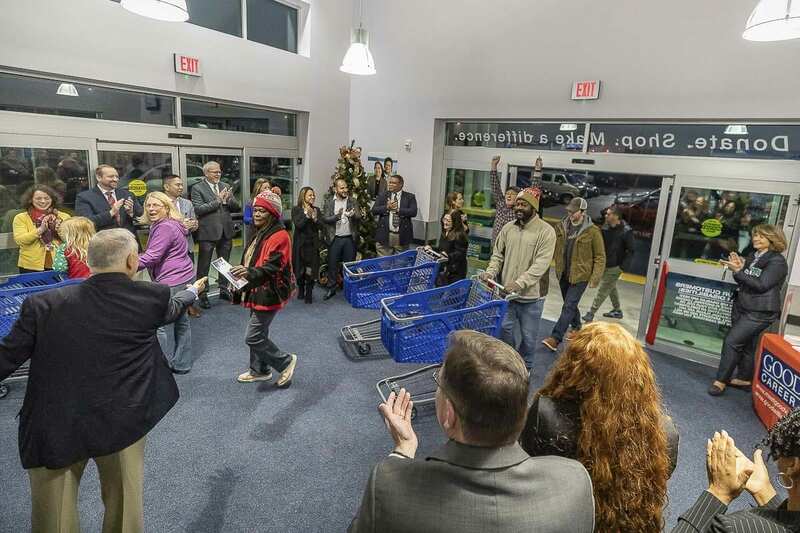 The new Goodwill store is the seventh in Clark County. Any time the company opens a new store, it is stocked with some of the best donated items from around the region. As the doors finally slid open at 7 a.m., employees lined the entry to the store and applauded for every customer coming through the doors. A few, like Mobley, were greeted with extra enthusiasm by familiar faces. “A lot of my friends are here and they’ve just told me how wonderful this new store is going to be,” she said. Goodwill brought in managers and senior staff from other stores around the area, and extra registers to make sure the event went smoothly. The first customer was already checking out just ten minutes after the store opened. If you didn’t get to Thursday’s grand opening, don’t fear. Goodwill spokesperson Dale Emanuel says they bring in enough stuff to completely restock the store every night through Sunday, to make sure the store gets off to a good start. The new location also features job connection services, as well as language training, to help people get into a new job. Emanuel says Job Connection provided free job support to more than 3,100 people in Clark County last year. Overall, Clark County ranks among the top donation areas for Goodwill Industries in the world. Last year 542,000 donations were made in Clark County, adding up to more than 33,000,000 pounds of stuff. Most of what doesn’t sell at retail stores goes to Vancouver’s only Goodwill Outlet store, where it is mostly sold by the pound. If it doesn’t sell there, most of it is packaged up and shipped off to companies that recycle or reuse the materials. 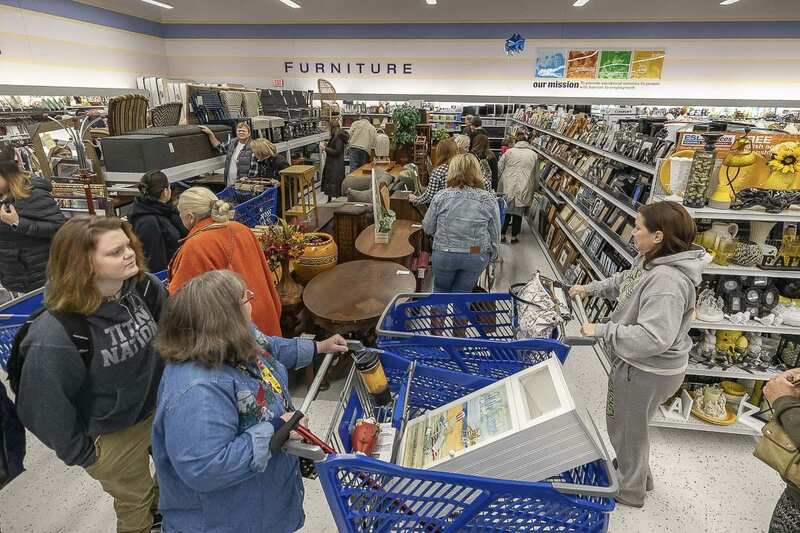 Goodwill says well under 30 percent of what’s donated and doesn’t sell ends up in a landfill.